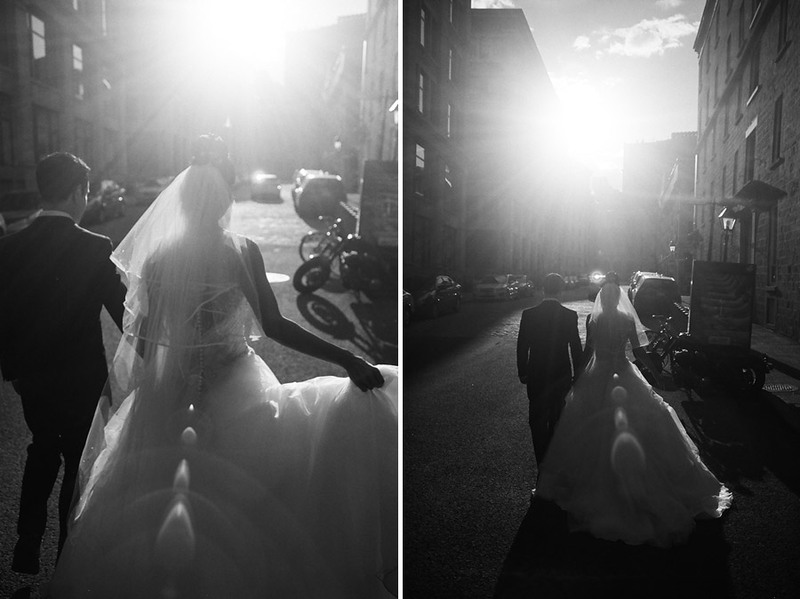 The city is their playground, their wedding embraced it. The initial phone call with this groom began with "shoot all the digital you want but could you please shoot one roll of film" My reply was an immediate of course! What intrigued me more was the "one" roll approach, he got me on that alone. 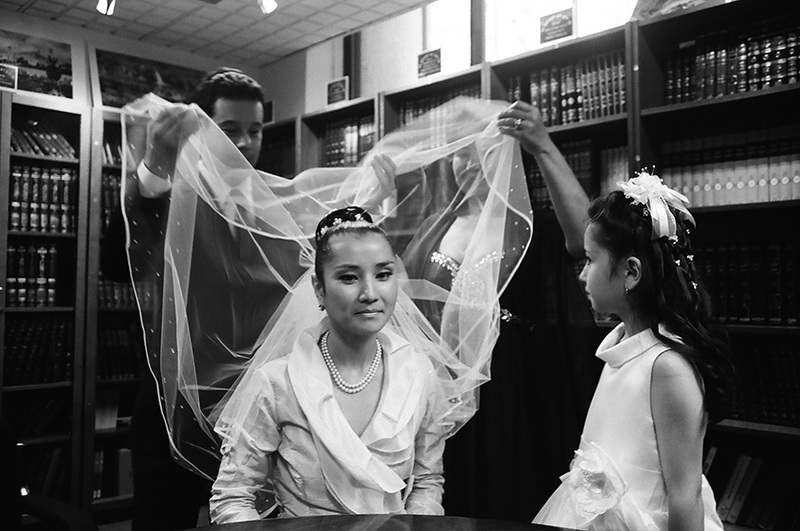 This Jewish wedding took place in two cities, Montreal and Toronto but only shot the one roll in Montreal. 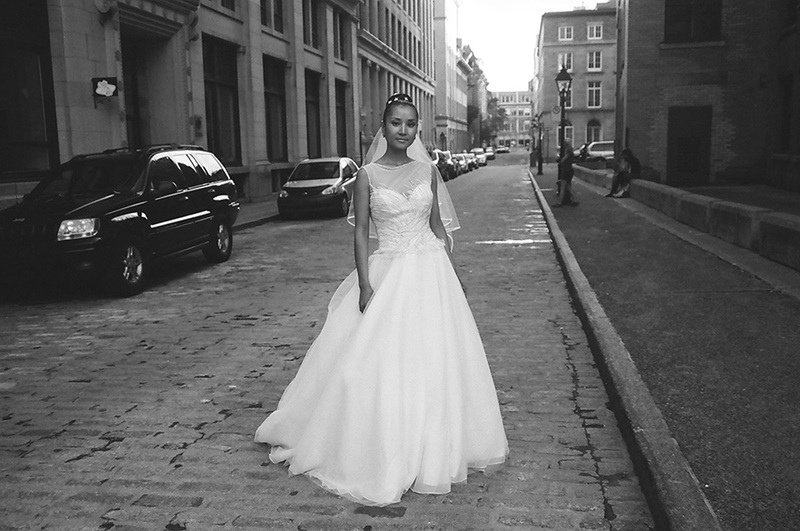 After a small and intimate ceremony at the Spanish and Portuguese Synagogue, Kamilya and Lorne kept me entertained through out our stroll in Old Montreal and Sherbrooke street. Entertained is an understatement with Lorne, as you will see in the images below. Unlike digital photography, not knowing immediately what I created is a huge thrill, I miss film. 22 frames from a roll of 36 Kodak TX, straight out of the camera. 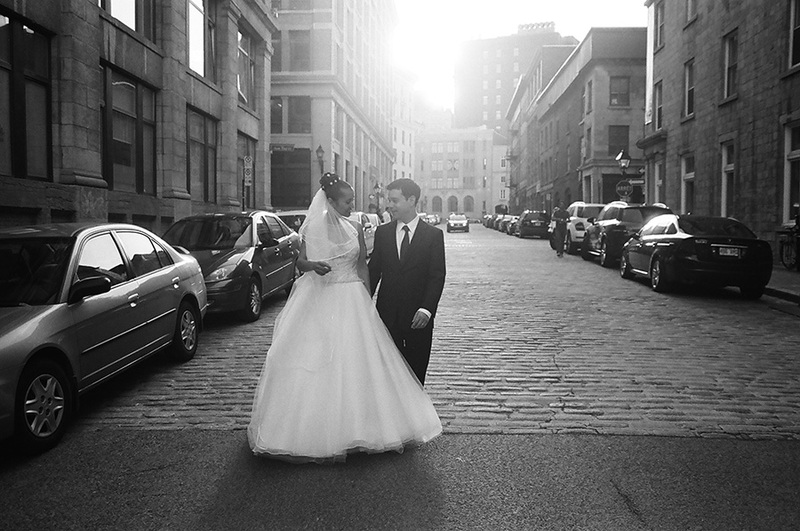 A few weeks later the couple invited me to capture part II of their marriage in Toronto. With another ceremony taking place at the Art Gallery of Ontario. Preparing more images from this wedding and will be sharing soon.